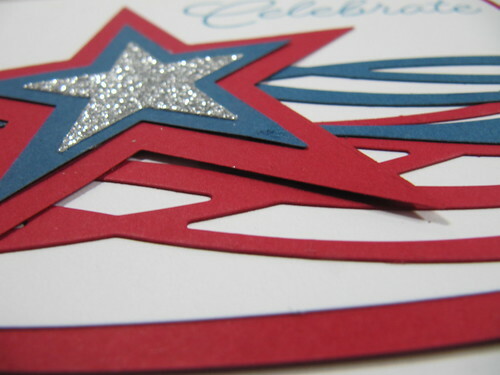 I have a couple July 4th cards to share with you. I pulled out a bunch of supplies and just played to make these. I don't have much in the way of patriotic themed stamps so I had to make some of my other stamps and supplies serve my purpose. 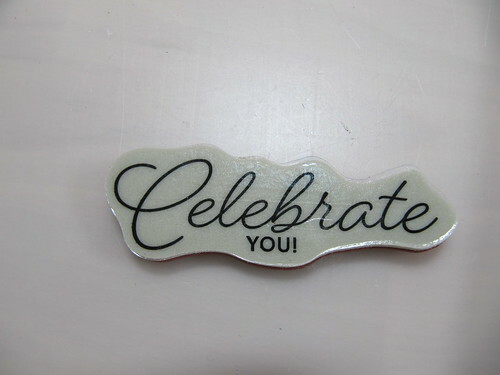 Both of the cards I am sharing today use this stamp from Stampin Up Birthday Blast. 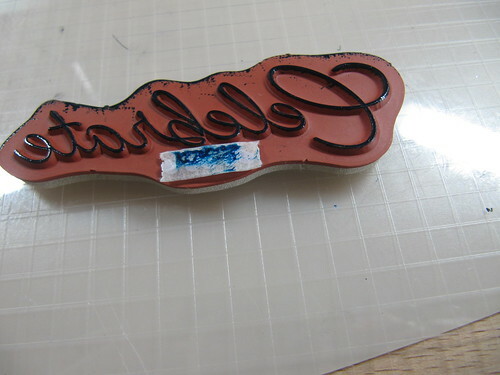 I altered it by using some thin washi tape before I inked up the stamp. 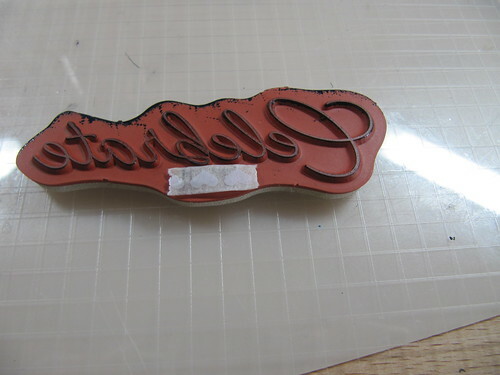 Then when I was ready to stamp I pulled the washi off and the You was left free of ink. 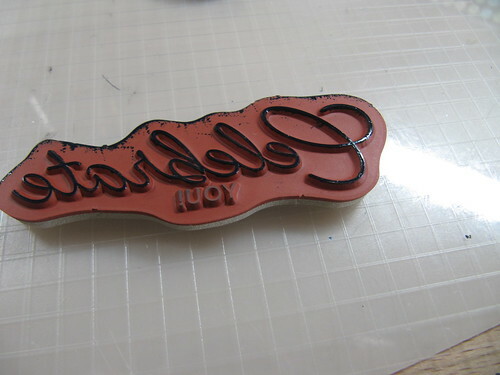 I was able to get a clean impression. I've tried just wiping ink off the part of the sentiment I didn't want but I always seem to end up with a shadow of the sentiment or I end up wiping some ink off the part I want to use. 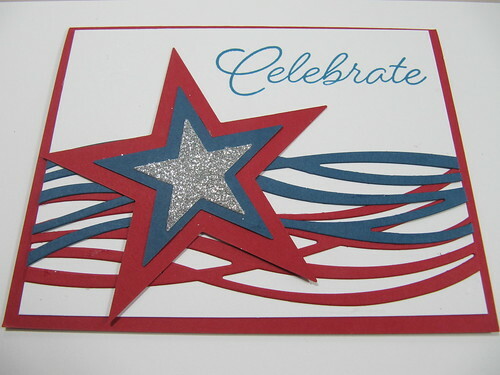 This card uses the some of the scribbles in the Stampin Up Swirly Scribbles to create waves of a flag. 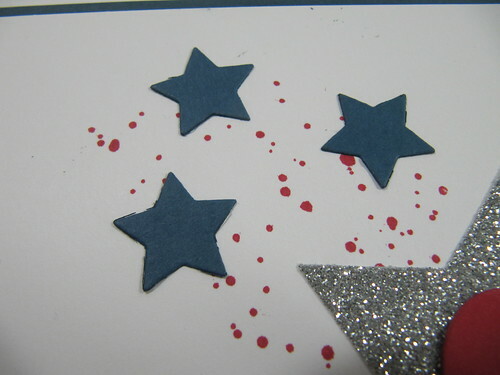 I also layered up some stars from a thinlets die set. I used glitter, red, and blue. 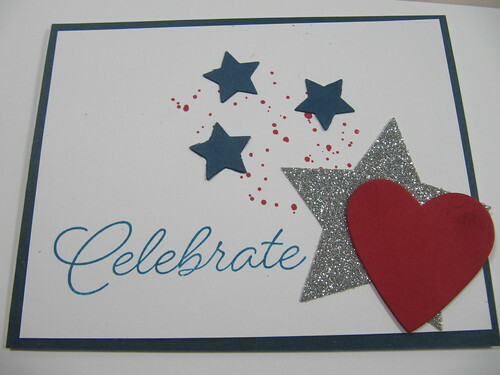 The other card I used my Celebrate sentiment on is a pretty non-traditional July 4th card but it has all the patriotic colors in it. 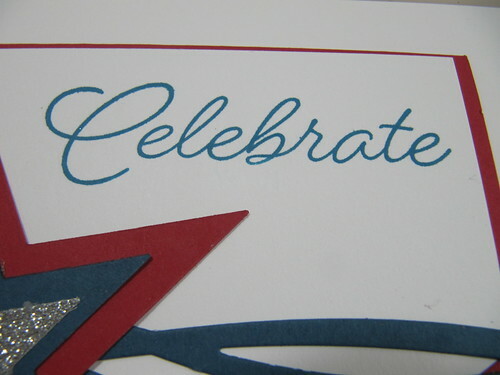 I started by stamping my sentiment on the card and one of the images from Stampin Up Gorgeous Grunge (one of my all time favorite stamp sets). 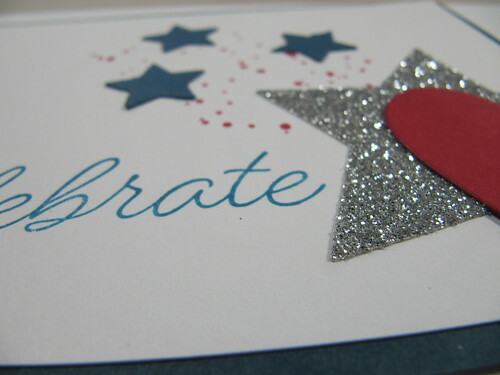 Finally I placed some stars and heart die cuts around the card.